We are providing the latest technology of Cloud based Biometric Attendance System. Brihaspathi Technologies and services has Introduced at time attendance system that eases your work of maintaining a time attendance register. Biometric Attendance System is a latest advanced technology that needs your biological information to record and maintain time record. Finger impression, eye retina is used to record time, which cannot be tempered by anybody unlike manual register.we provides a perfect solution for presenting colleges ,schools, malls, shops, library, banks and organisations needs to monitor attendance of each and every individual who belong to the organization. User Capacity : 3000 FP(1000)/Card(1000)/Password(1000). Sensor : Optical 500DPI Card type: 125KHz . We are a top notch supplier of Mantra Biometric Machine. · ANSI compitable finger print template and images. · CE, FCC, IEC60950, ROHS Certified finger Print sensor. · Capacitive 7”” touch screen of 800x400 pixels. · 4GB memory with 512 MB RAM. · 1.2 GHZ Dual core processor. LCD Display : 2.8" TFT Color Screen. LCD Display: 2.8" TFT Color Screen Interface: USB (host n slave), TCP/IP. 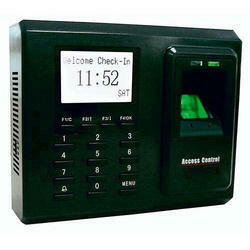 Access Mode: Fingerprint/Password/Card FP+Password/Card+Password BUILT Access Control, Exit via Card Reader/push button. 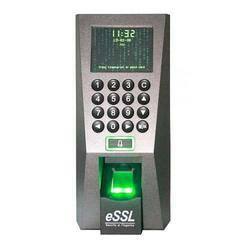 Looking for Biometric Attendance Device ?